Collective[i] is an innovator in B2B analytics. The New York-based company operates a global multi-tenant ASP designed to provide in-depth buyer behavior data and analysis to sales, marketing, customer support and services teams worldwide. 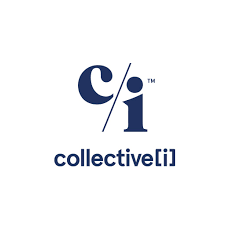 Collective[i] is a global enterprise network that provides in-depth buyer behavior data and analysis for sales, marketing, customer support teams worldwide. The Collective[i] toolset is a data-driven and user-friendly solution for relative and timely forecasts and insights. Collective[i]’s applications easily connect to your CRM and other relevant data sources to transform them into insights and intelligence. We remove the need for rigor, endless meetings, routine/manual analyses (such as forecasting) and research by offering real time intelligence linking buyer behavior to seller activity. Imagine having the insights of thousands of sales professionals anytime you need it for every opportunity.